SlotO’ Cash Casino is a good casino option for players who want to indulge in some gaming entertainment from the comfort of their own home. The casino brings players to a vibrant and colorful scheme of entertainment with options galore. The 18+ brand is exciting to look at as well as get to know while players are sifting through the different styles of games, promotions and banking options. Since 2007, Sloto’Cash has been a great choice for players. Most recently, the brand went through a complete overhaul in terms of the design as well as the bonuses that are available. When looking at the new website, it’s easier on the eyes and it has more necessary information right on the main page to help guide players where they need to go. With more than 175 different games and 3 different ways to play them, it’s easy to see how this casino can easily become a top choice for players who are 18 and over. The brand is powered by Real Time Gaming which is a leader in the gaming industry for simple yet exciting gaming choices. 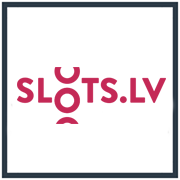 The players of Sloto’Cash can download the casino to their computer, play instantly through the browser via Flash technology or use a mobile platform which works well with tablets as well as Android or Apple devices. In the games library, players have slots, table games, video poker, card games and specialty games which all have classic styles of games as well as the variations of games which makes things even more exciting. Bonuses at Sloto’Cash Casino start out with free money. On a player’s first five deposits, they will earn money toward their game play. 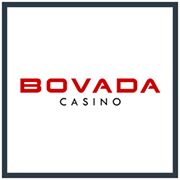 The bonus starts with a 200% deposit match bonus for up to $1,500. From there, a 100% deposit match bonus will be given on the next three deposits and then the final installment of the bonuses is a 177% deposit match bonus for up to $1,777. Each of these bonuses will require a player to use the bonus plus the deposit a specific amount of times. For the first deposit, it is 30 times and for the next five, it is 25 times. Other bonuses are then available after the initial round and most of them will be deposit matches. In addition to deposit bonuses, players have a comp points program which tracks a player’s deposits and gives them perks depending on how much they wager. 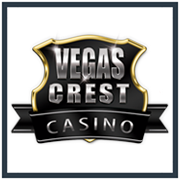 Money transactions at Sloto’Cash Casino are easy to get the hang of. Like making an online purchase, players can use a Credit Card or eWallet type of company to transfer the money from the player’s bank to the online casino account. The deposit timeframe is typically instantly and withdrawals can take some time, usually around four to ten business days to complete. On the banking page, players can see all of the much needed information to successfully get started. If there are any unanswered questions, a live support staff is available day and night via live chat and telephone support styles.